This is work I created during my internship with Millions of Tiny Robots. 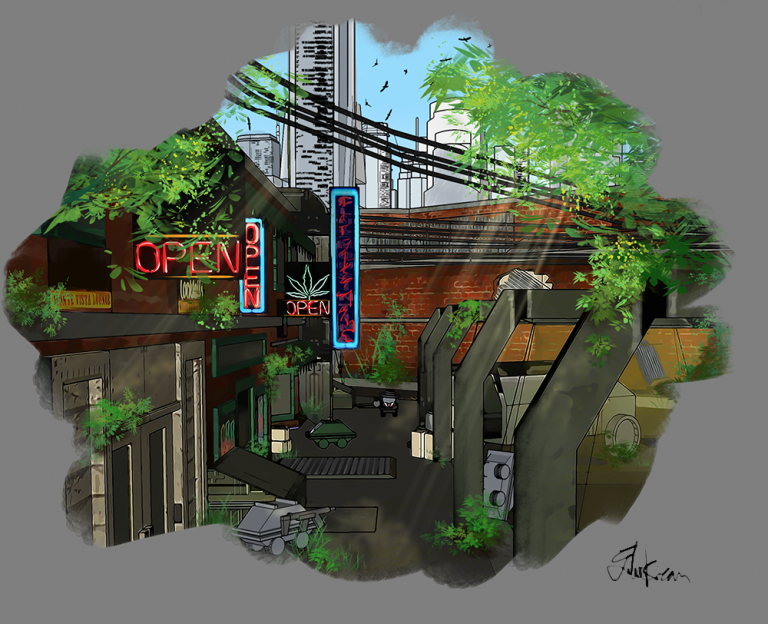 One of my coworkers had an idea for a game set in a post-apocalyptic cyberpunk city, and asked me to create some environment concepts for it. 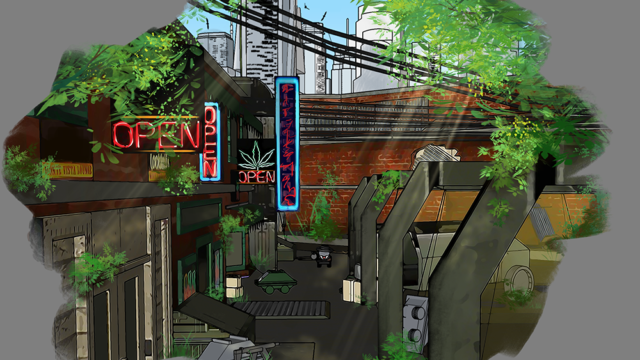 I took heavy inspiration from Shadowrun and Blade Runner.